Immunisation is a safe, simple and effective way of protecting children (and adults) against harmful infections. It also protects people who are too young or too sick to be immunised by minimising the spread of diseases from person to person. 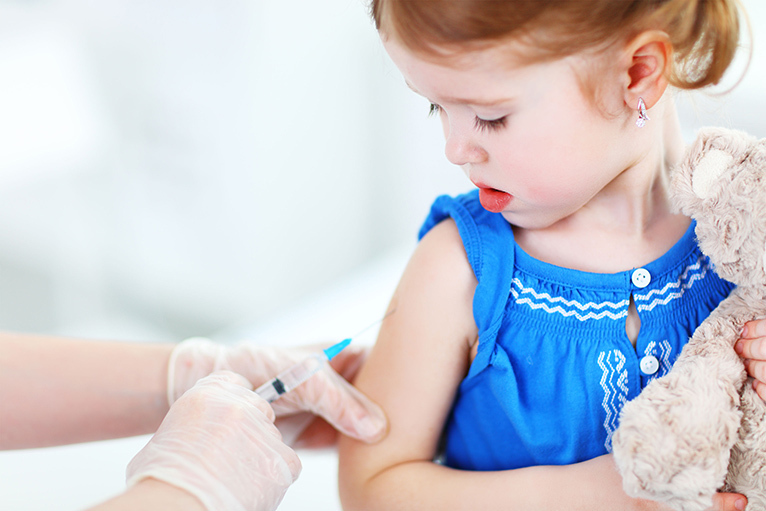 Immunisation uses the body’s immune response to build resistance to specific infections. Vaccines are given as an injection or, in the case of rotavirus vaccine, taken by mouth. After receiving a vaccination, the immune system generates specialised cells to fight the infection if they are exposed to the disease. If a vaccinated person comes in contact with these diseases, their immune system is able to respond more effectively, preventing the disease from developing or greatly reducing its severity. Immunisation helps children stay healthy by preventing serious infections. The risk of serious side effects from immunisation is very low compared to the risk of complications or death should a child contract one of the vaccine-preventable diseases. The National Immunisation Program (NIP) Schedule is a series of immunisations given at specific times throughout your life. Queensland’s School Immunisation Program provides parents with the opportunity to have their Year 7 and Year 10 children vaccinated for free.